I come to you today with a brief message about the progress all of you are making. 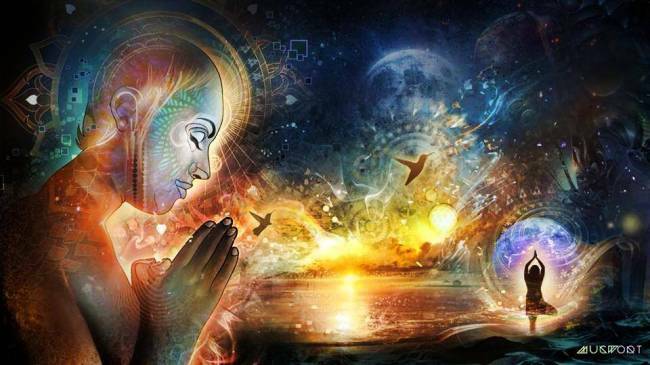 We realize that many of you are feeling the immense pressures from the light codes and the changes in frequency. Each of you is being pushed to your limits as the standards for your normal existence are changing in each moment. Once your form becomes accustomed to the current frequency, you then begin acclimating to the next level. From our perspective we are seeing tremendous growth and are encouraged by the effects each of you in this transition is having upon others. Each of you in the flow with your highest aspect, to whatever degree you are able to hold, is acting as a light switch in the dark for those just now ready to begin. Many of you were accustomed to a lull in between the upgrades, but that is no longer the case. As soon as you have fully adjusted to the next level within your body, physically, mentally, and esoterically, you then begin the next stage. This was agreed upon collectively as each of your soul sources are anxious for these changes to take place so that they may merge completely with you. Each phase includes a restructuring of beliefs, the clearing of density, and then the upgrade to your physical form, your chakra system and accompanying blue prints. Some of you move through these changes very quickly with little resistance, while others may become stuck in a particular part of an upgrade. All parts musts must reach a certain frequency in order for the whole to move forward. When you are not in sync you may experience a sense of disconnection, a void, even confusion. Allow yourself the time needed to complete the current transition without going into fear that you have done something wrong. Look instead, to see proactively where you may be resisting. For some of you, it is your thoughts and behaviors. What patterns are you observing that no longer serve you. For others it is the inability to allow the body the time to process the upgrades easily through sleep and contemplation. Not honoring the body’s needs will slow the process considerably. For others it is a resistance of the will, the inability to accept the soul source’s path. You are being asked in each moment to examine what your thoughts are regarding each phase. It is indeed your thoughts that are the biggest contributing factor to how quickly you move through this process. For it is even your thoughts regarding your physical needs that can cause resistance. What do you tell yourself when your body requires more rest than normal? Part of your mission on earth is to master your thoughts, your vibration; your frequency so that you can move through all of life with ease. Once you are aware of the impacts of your internal dialog and the programming that is responsible for those beliefs and thoughts, you will be able to rewrite the program and stop the dialog. The first step is awareness into how you have limited yourself and how this limitation is exhibited in your creation, your hologram. What are your beliefs regarding this process? Do you broach each moment, each change with joy as you know the desired outcome or do you look upon each change with trepidation and fear? Has this fear, this suffering become part of your new identity as you work to rid yourself of other identities you have created in your lifetime? You must understand that you have agreed and have in fact earned the right to go through this incredible time but how you go through it is completely up to you. The outcome will be the same if you spend your days in joy or if you spend your days overcome by misery. Your thoughts and beliefs are clues to show you what you are holding on to, what you are resisting, and what is not in alignment with your soul. When you are not in sync this will be exhibited in your outer world. When you are moving in the flow with your highest aspect you will see this reflected in the world around you as well. You will be able to see the changes taking place in others, the growth, and you will feel a hope for the future. When you are not in this flow, you will see an outer world that is resistant to change, resistant to seeing the incredible possibilities that your world offers. When you see this, are you able to see this as a reflection of a similar belief in you? Write down your thoughts, your feelings, and your experiences. These serve as a way to categorize your experience so that you may see predominating themes that are permeating your world. From this position you will be able to examine where the programming, beliefs began and rewrite them. It also gives you the opportunity for guidance to work through you and give you support. When you look back upon your musings you will also be able to see your growth. We assure you that you will be amazed at how your perceptions have changed as you learn to live from your heart center more and more. Sanat: Yes, it would have stayed as you would have claimed it and moved it into the category of programming that speaks of long lasting pain. Speaking the words that it is an upgrade and that it will pass, makes it so. You are also able to then see the benefit of the pain, that it was not present to cause you harm, but to help you to achieve your goal. Me: There was an intense energy day and I was told that a galactic wave had come in that was designed to break up and end timelines that no longer serve us. This contributed to people feeling that they had “fallen” into the 3rd dimension again and done something wrong. I then had a reading with someone who was experiencing this and she was told to look at moments like this as not “falling” or going backwards but as a rescue mission. That she was rescuing aspects of her that were still resonating with 3rd dimensional concepts and beliefs. Sanat: This is a wonderful way to look at this part of the ascension process. It frames it in a positive light in a proactive way that allows one to see the intense work that is taking place in every moment. It is how you look at things that will denote how quickly you move through them. It is important to understand that all that you are experiencing is in your highest good even if you are not able to understand what or why things are happening. Me: Others have experienced interesting dreams in lucid moments and in sleep of themselves but with vastly different lives and experiences. Are these also the collapsing of timelines that no longer serve? Sanat: Yes, as you become aware of timelines and dissolve then you are also absorbing the lessons learned from those experiences. Me: Many feel as if they are cocooning again, going within, not wanting to be near people or noise. Some have expressed that as they experienced this before, to experience it again makes them feel as if they are slipped backwards. Sanat: This is what I refer to as the beliefs associated with this progress. Instead of simply honoring the body during this intense change, definitions and beliefs are made that reinforce that this progress is negative and that one is doing something wrong. This very belief creates resistance in the body that slows the speed of your integration. Allow your body to do what it needs to do, without assigning beliefs to it.